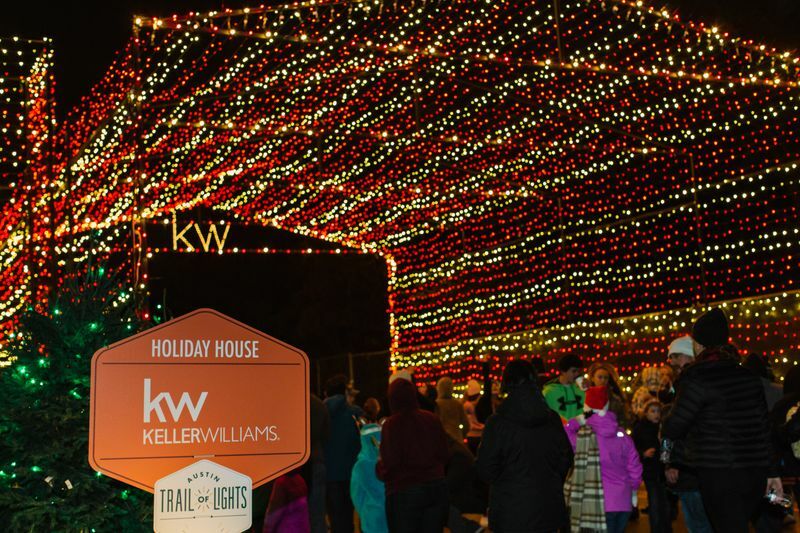 Keller Williams has hosted their holiday party for the past 4 years at the Trail of Lights. However in 2016, they took things to the next level in order to give back to the city of Austin and to the event that has become such an important part of their company mission, culture and tradition. 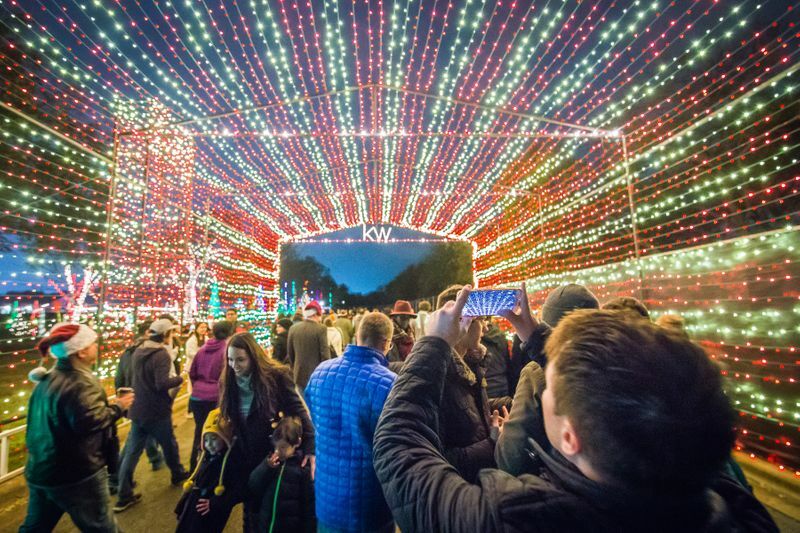 Plans for how Keller Williams would put their stamp on the Trail of Lights began in 2014, and in November of 2016, the Trail of Lights production team and Keller Williams got to work building out a permanent structure to live on the Trail of Lights. 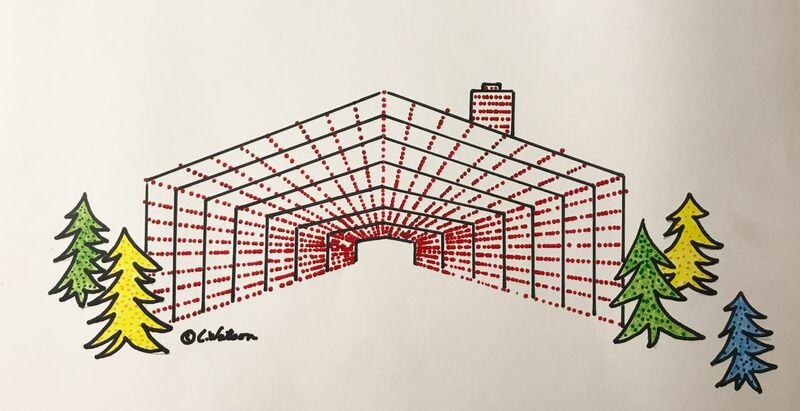 A fourth tunnel was the perfect addition to the event, and KW had the unique idea to create their brand's tunnel in the shape of a home, to represent their brand, headquartered right here in Austin, TX. The new tunnel, coined Holiday House Tunnel, now serves as a beaming source of light near the hospitality area. 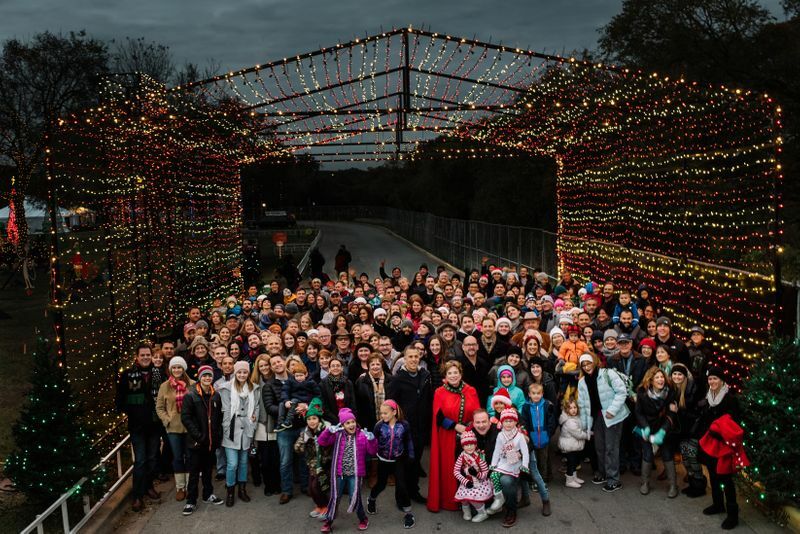 The location is a perfect place for the Keller Williams team to gather for their annual team photo year-after-year and a great photo op for Trail-goers on their visit to the biggest holiday event in Central Texas! There are endless opportunities for putting your own mark on Austin’s mainstay holiday celebration. 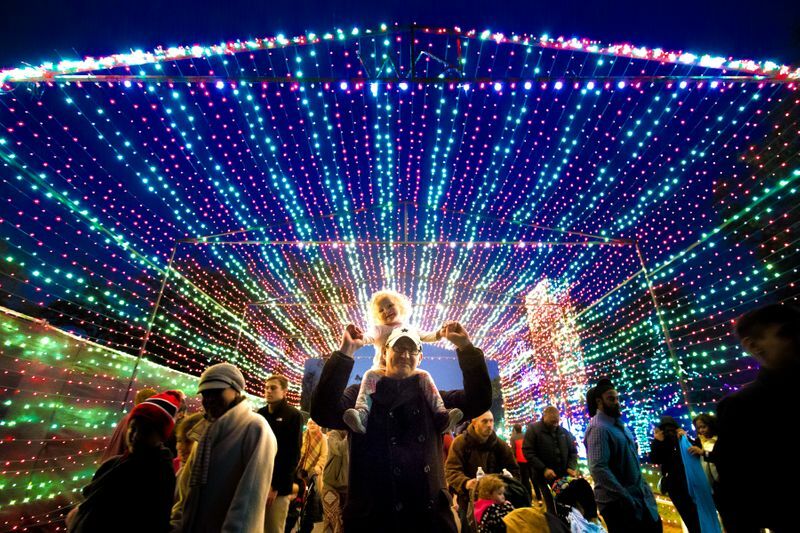 Start a new company tradition, and build your own brand story with the Austin Trail of Lights. Want your brand to stand out in 2017? Contact us today.